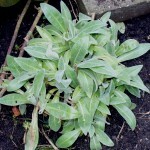 Soft, furry blue-grey leaves of Centaurea Montana rise from the soil in early spring. 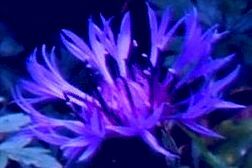 Its DEEP BLUE thistle-like flowers are in bloom from May or June to August. 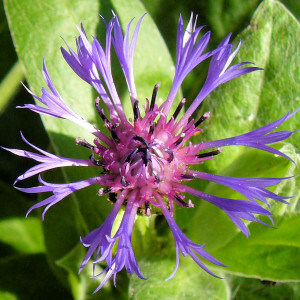 This perennial from the mountains of Europe will grow in moist, fertile soil in sun or part shade. 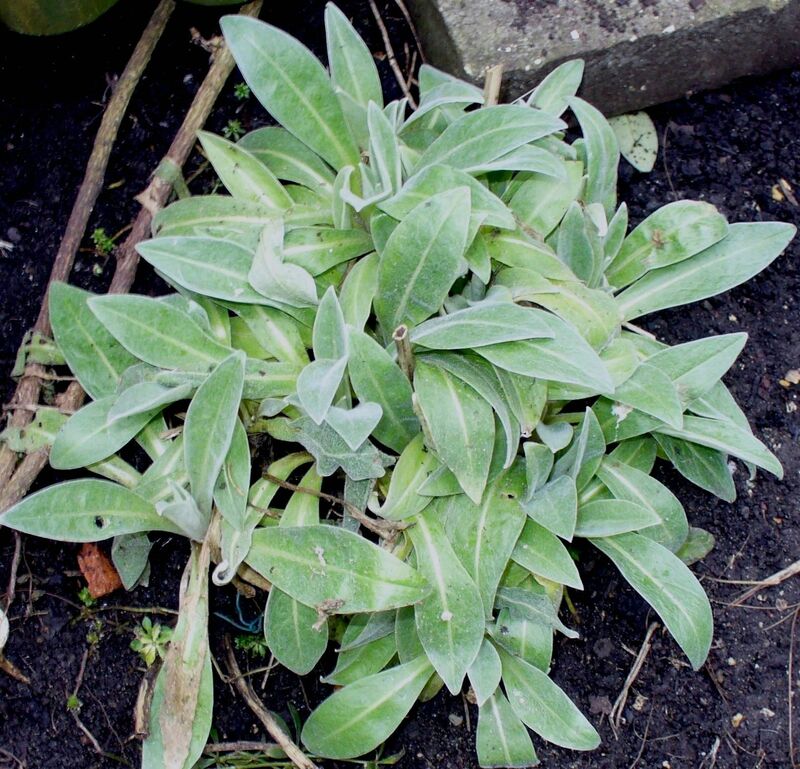 It may reach 1 metre in height, tall enough to require staking. It tolerates drought, but not waterlogged soil. The Mountain Cornflower is not prone to pests or diseases. 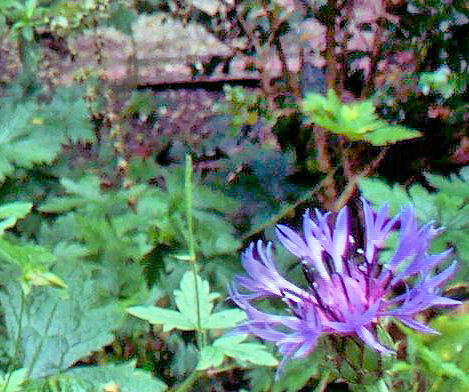 Its flowers are much visited by bees; even those flowers spending much of their day in shade here are sought out by the bees. 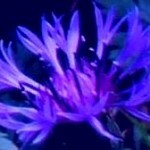 Other names: Great blue-bottle, Mountain blue, Mountain bluet, Mountain centaury.